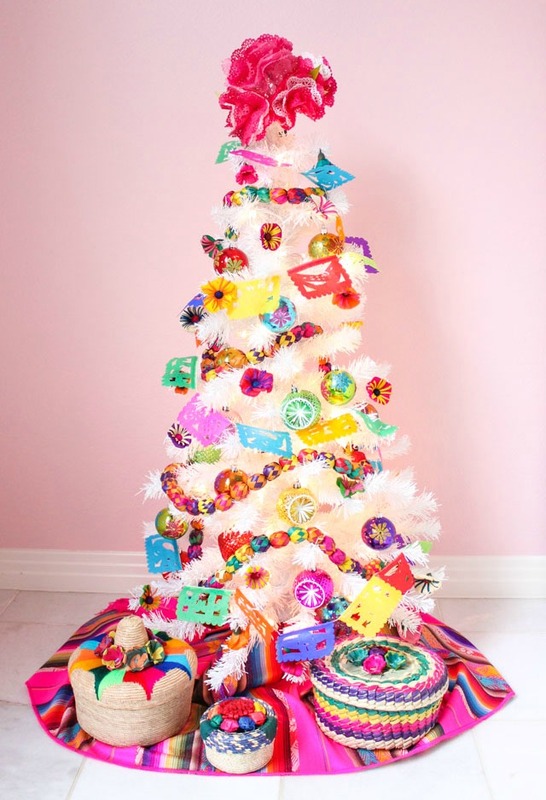 It’s been all about the fiesta here at Design Improvised this month – between designing a fiesta themed party for Better Homes and Gardens (coming to their website this summer! 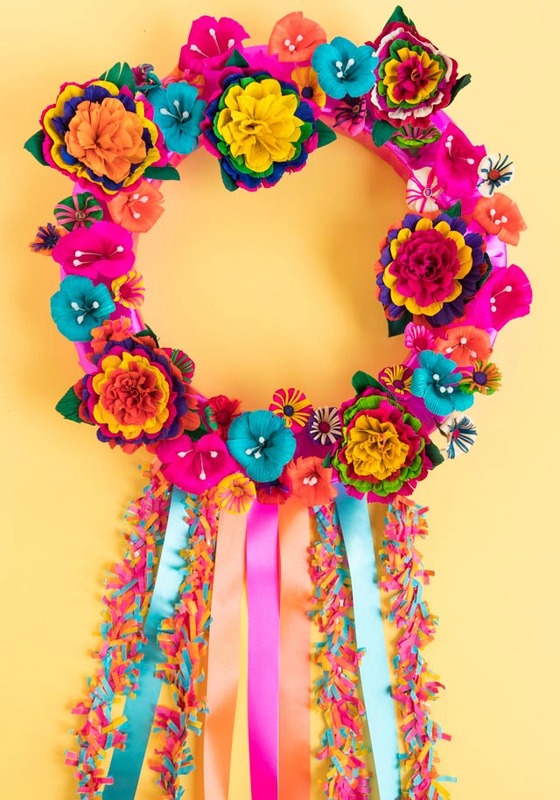 ), making fiesta wreaths, and celebrating a 2 week festival in San Antonio simply called “Fiesta”. 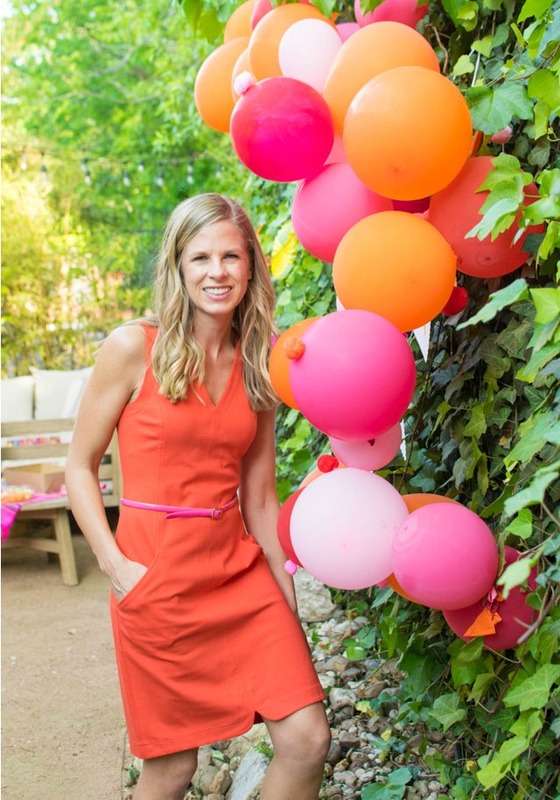 I’m keeping the party going through Cinco de Mayo with these piñata balloons! 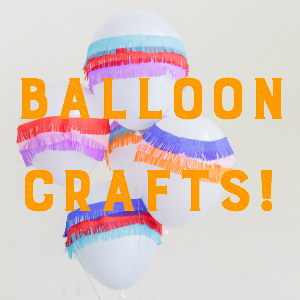 DIY piñatas are all the rage among craft bloggers, so when I recently got my first pair of Martha Stewart fringing scissors, I knew I wanted to try my own take on the DIY piñata – balloon style! 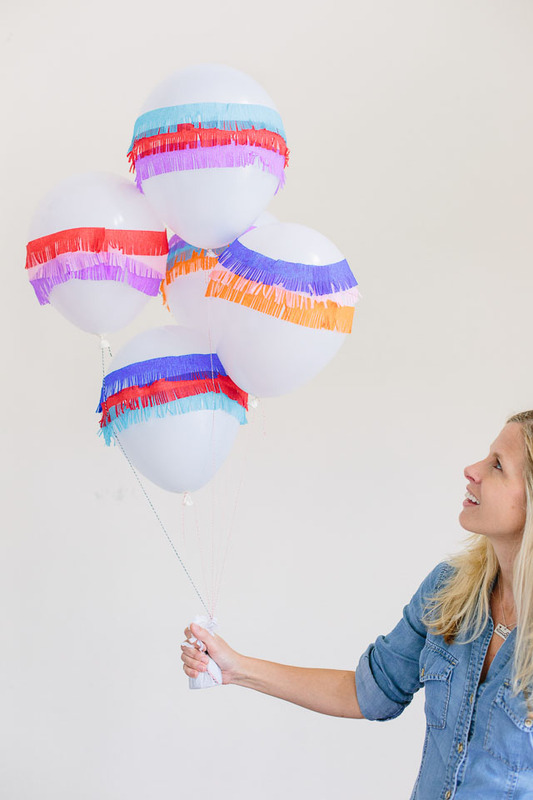 Unlike a traditional piñata that can be time consuming to make, these come together quickly since the piñata fringe only covers the center of the balloon. 1. 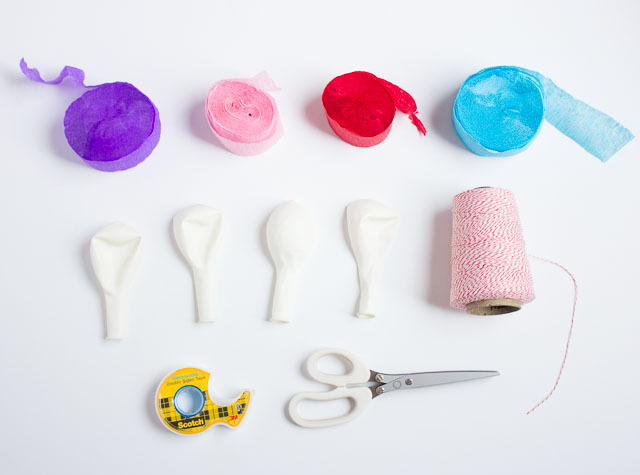 Cut several strips of crepe paper streamers long enough to wrap around the center of the balloons. 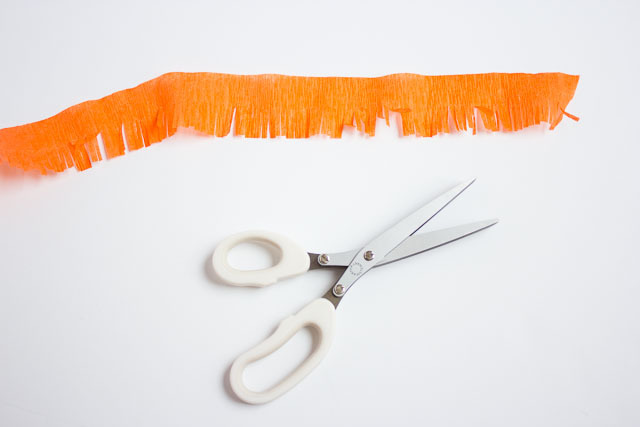 Then use your scissors to fringe one edge of the streamer, cutting about halfway up. Repeat on the remaining streamers. Note: I like to do all of the fringing assembly-line style in advance of blowing up the balloons. 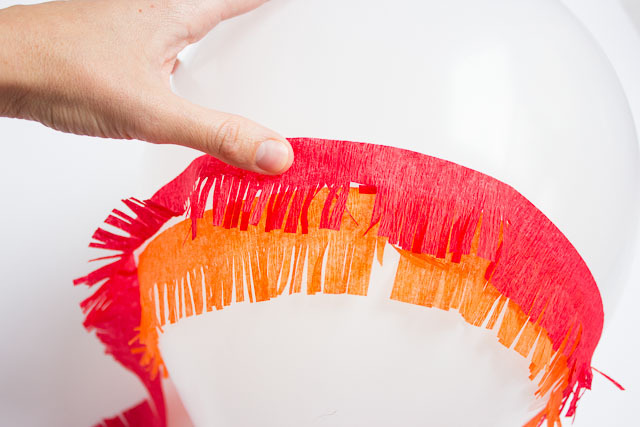 Make your fringe in front of the TV a night or two to make it easier to assemble on party day! 2. 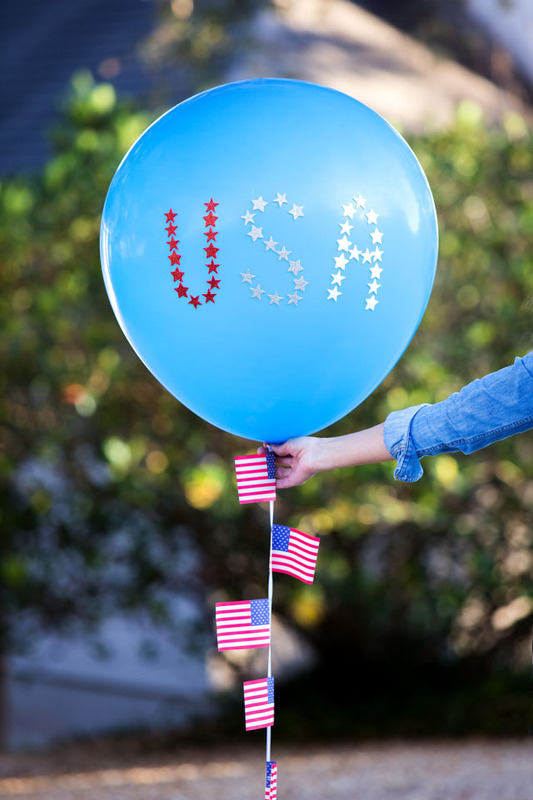 Inflate your balloons with helium (add Hi-Float if you want them to last longer than 6-8 hours). 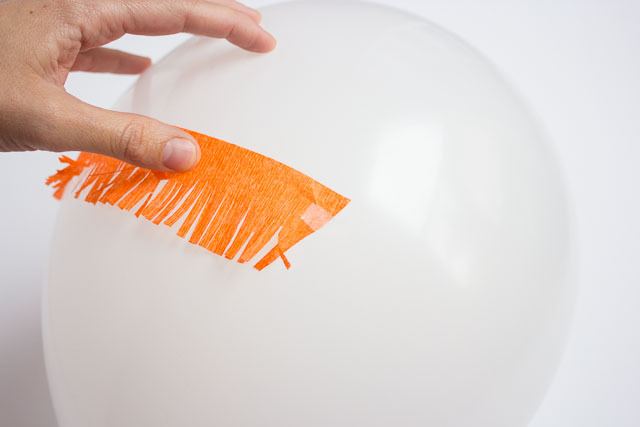 Then start by adding one fringed streamer slightly below the midpoint of the balloon with a piece of double sided tape. Wrap around the balloon, securing with a couple more pieces of tape. 2. Layer a second streamer on top of the first and secure with tape. Repeat for the third streamer. 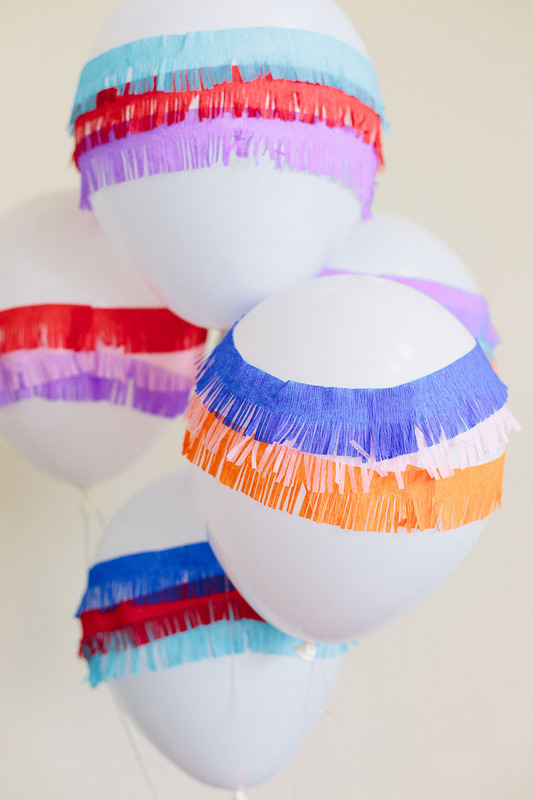 You’ll want to assemble these as shortly before the party as possible – once the balloons start deflating the fringe will hang more loosely on the balloons. Make a bunch of these in bright colors for an awesome party centerpiece. 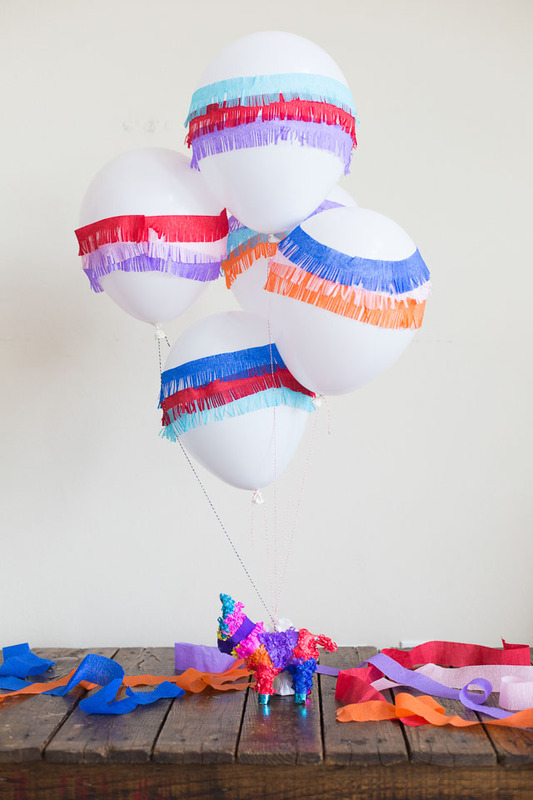 Place a mini piñata at the base for an extra cute touch!